"Excellent customer service and very helpful with my RV insurance questions and setting up a new policy! Rates are very good!!" "The steps through the options on the policy were easy. Great way to get a deal on insurance for your RV." "Great to do business with. The agent was very helpful and informative. They actually understand RVers." "Great experience with our RV and we decided to place our truck and car on the same policy. Huge savings, friendly service. Very happy!!!" "Great company to work with for my RV Insurance." "Setting up the insurance on our Motorhomes was so easy and the representative was knowledgeable." A Truck Camper is a dismountable, cab-over-the-truck roof that slides onto the back of a pickup truck. While similar to a Class C in the cab-over style, the camper is contained within the truck bed and does not carry over as part of the vehicle. Truck Campers vary in length, height and width depending on your base truck. It's important that you fit the truck to the camper when it comes to amenities. Campers can be 19 or 20 feet long and will require a long bed pickup truck. Campers can also be 8 feet or less and will fit on a short bed truck. Truck Camper features often include kitchenettes, mini bathrooms, full or queen size beds, convertible sleeping areas, small black and gray water tanks, big screen TVs, slide outs and pop ups. Insurance on a truck camper- Generally, insurance on a truck camper is less than other types of RV's. Your unit is connected to your vehicle and makes for easier overall coverage. You can tow your toys- If you choose a truck with enough power, it can also pull a variety of toys. Bring your boat, jet ski, or motorcycles along for your outdoor adventure. Comfortable and Convenient - Jump in the truck and go! Once your camper is mounted and disconnected, you are ready to go! Turn the key! It's that easy. Better Fuel Economy- A Truck Camper offers greater miles per gallon than your typical RV. If you are willing to compromise on space, you will love the savings when you pull up to the pump. Price- Truck Campers, primarily used Truck Campers, offer significant savings over a Class A or Class B RV. ©2018 RVInsurance.com. All Rights Reserved. 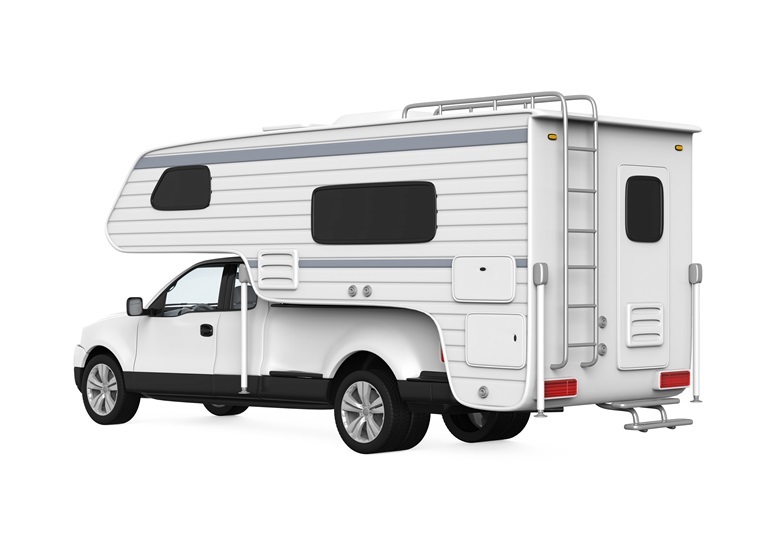 Autos and Recreational Vehicles Insured in 2015 represents the number of RV or auto properties underwritten by member underwriting companies of the National Insurance Group within the calendar year.